This recipe was adapted from The Petit Appetit Cookbook . 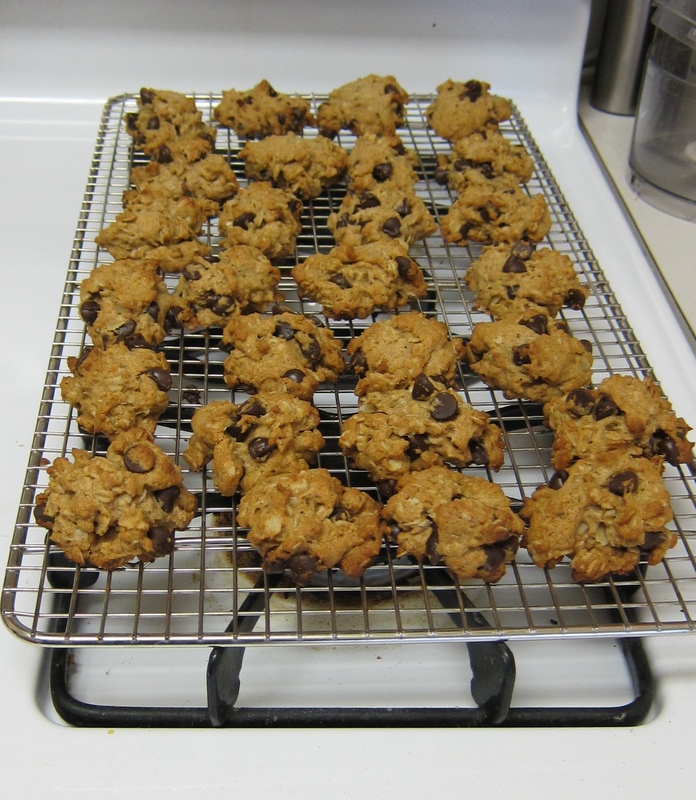 The kiddos love when we make them with chocolate chips, but they are just as good with raisins. Cream butter and honey, add egg and vanilla. In a separate bowl, mix flour, baking soda, salt and cinnamon. Stir wet and dry ingredients together until just combined. Add oats and chocolate chips (or raisins). Spoon cookies onto baking sheet and bake for 10-12 minutes.